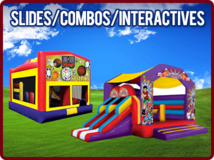 At BC Bounce Party we have Central New York's best selection of inflatable bounce houses, boucne & slide combos, water slides and dry slides. 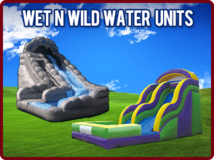 Below we have divided the options in wet and dry units, so you can easily see which rentals are approved for water use. Browse the selections below and click on the title or image for details on that category.